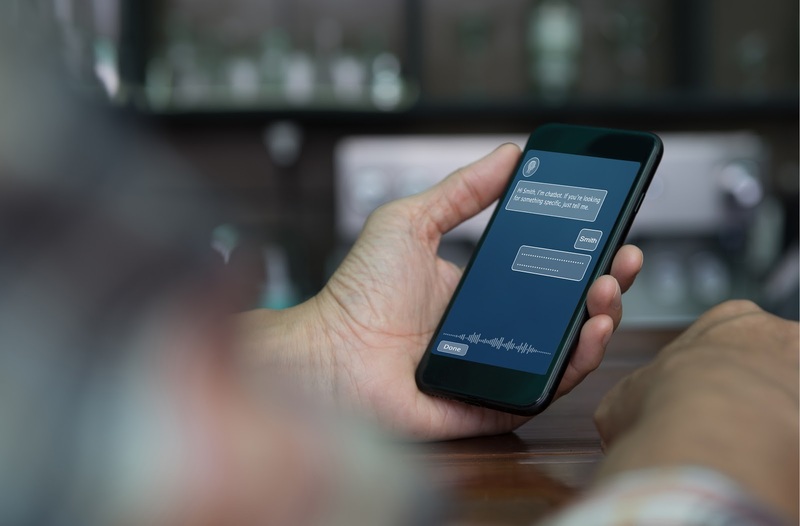 Chatbots have been on the rise for the last 2 years and compared to the first prototypes from some years ago they improved drastically due to artificial intelligence and natural language processing capabilities. You can now use a chatbot as a sophisticated and multipurpose tool to automate and optimize numerous processes, no matter the type of business you run. Using a chatbot to help you with customer support is a no-brainer as they can save you a lot of time and money. Besides customer service, a chatbot that relies on rule-based behavior or even full-fledged AI can also help you with your marketing initiatives. It can even drive sales by pushing customers into your funnel! We collected the most important facts and tips on how you can use a chatbot to generate more sales and create more engagement. Talking to someone who knows your name is very different from a non-personal generic conversation. By using a chatbot that integrates with social media (like ManyChat), your bot collects personal data about the person it engages with. Instead of just answering a customer care request with a generic answer, your bot can take it a step further and lead the customer into a personalized discussion resulting in very targeted advice on what to shop next, based on the history of your customer and his or her interests. 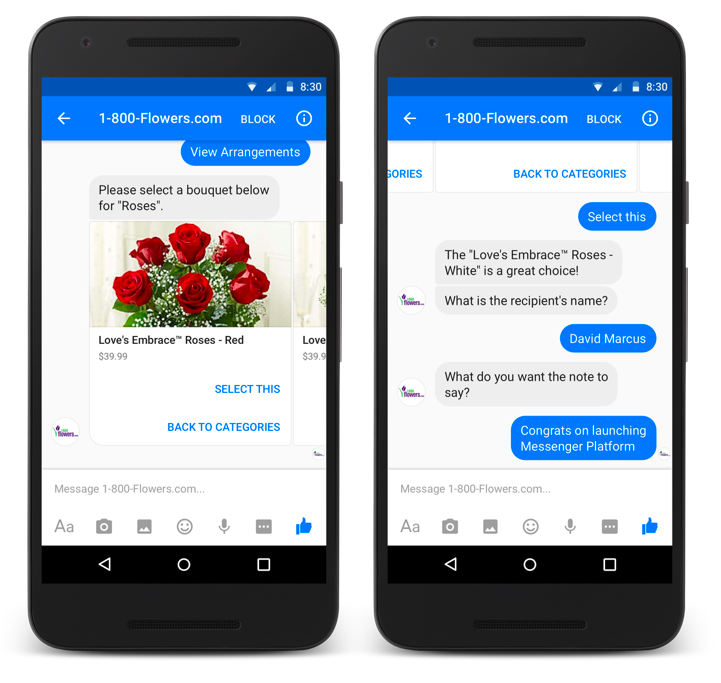 A chatbot is unique in this regard, as it can engage with your audience for longer periods of time than other marketing techniques. Example: Your customer watches a video reel, and when the video ends normally the attention of your customer might flounder elsewhere. A chatbot, in contrast, can learn from this interaction, it catches the attention and then sends your customer very targeted advice based on the consumption of the video, essentially sucking your client into a spiral of branding, product, and service presentation. There are almost endless possibilities to upsell and cross-sell anything you are offering in a fun, personalized and engaging way. 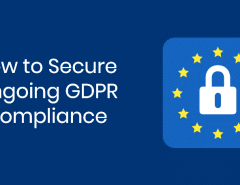 It’s like a chat with a sales representative – that you as the business owner can replicate for hundreds of customers at the same time without employing a single actual sales rep. Pretty nice, right? Most of the chatbots are found on social media platforms like Facebook. This gives the chatbots an essentially limitless audience as most of the people are somehow connected to many other people, at least indirectly. If you create a social media ad that is connected to a chatbot (yes, that’s possible and even very effective), it’s just a small adjustment that allows you to reach a lot of new people. 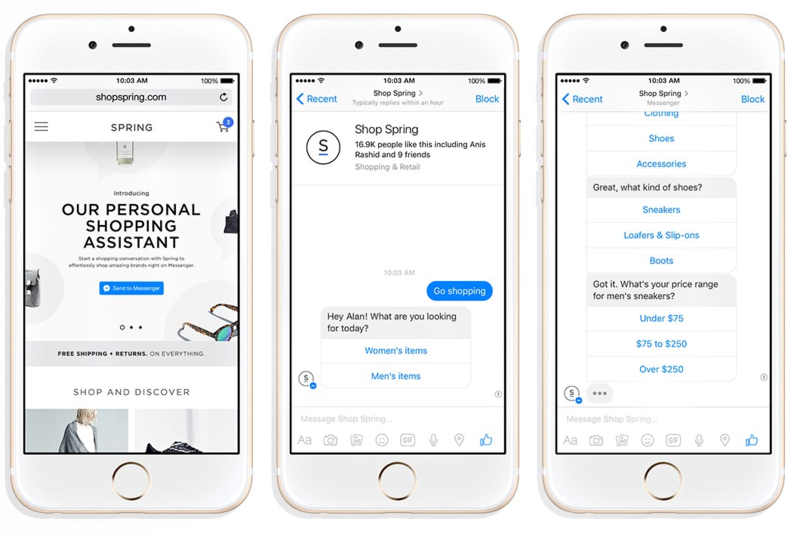 Chatbots can also be integrated into more than one messaging platform, allowing you to spread the word about your products or businesses truly everywhere. This opens up new ways to generate leads, sales and brand awareness. Chatbots provide an opportunity to become a business that is powered by data because they allow you to gather loads of feedback from users. Most people don’t like to fill out surveys if they know it’s a survey. It’s a different story if you talk to someone – and this is what a chatbot basically does: it’s like your own little super efficient sales rep who takes notes on everything. 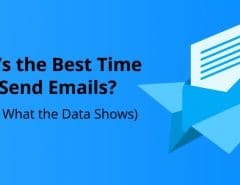 And, of course, you can use this data to start using machine learning tools, analyze the feedback and other information to find out what your audience likes. You can then use this data to build very adapted and highly targeted marketing strategies, focused on customer needs and wants. No one likes to receive a flood of non-relevant spam in emails, text messages and push notifications. Don’t be part of this spam machine. Use a chatbot to stand out from the crowd. A chatbot can help you present only information that really matters to your audience – they will thank you by buying your products and love your brand for being relevant. You can be really creative with chatbots. Let your chatbot use emojis and allow your users to search for interesting things in the history of your chatbot. 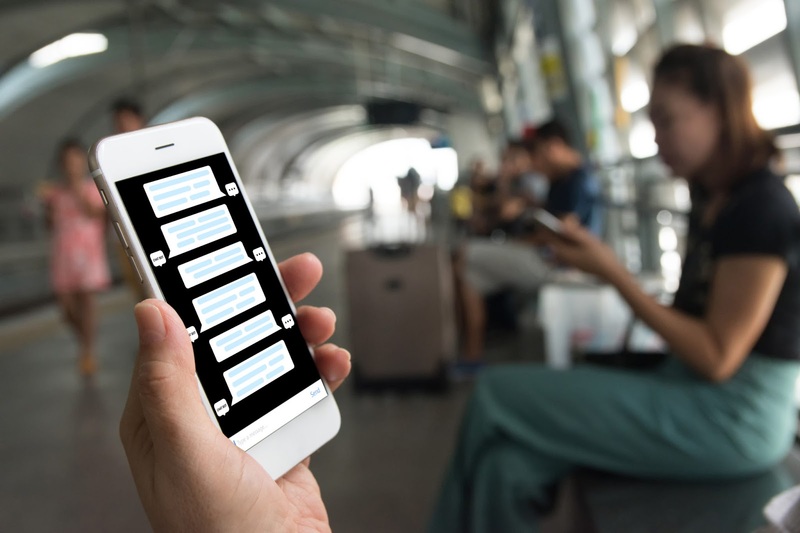 Using creativity with your chatbot opens up a new world of fun and engagement-driven marketing that almost feels like a game or entertainment. It’s truly a form of “advertainment” (advertisement meets entertainment). Of course, it also increases traffic to your website and ultimately sales as it creates touching points with your products. Chatbots let you break the circle of passive engagement. In the past, a customer had to search for contact with a brand first. A chatbot, however, can send welcome messages when people arrive at your website, thus triggering conversations. This also increases the reputation of your brand as being proactive and responsive. In a world where products are everywhere, it’s standing out from the crowd by service and personal care for customers that drives sales. Leads are the core of companies’ marketing strategies, but generating leads is very time-consuming. There are companies that help you generate leads, but chatbots are a very low-cost way to gather the information you need to contact prospects with personalized content. You can even A/B test your chatbot messages to see which message converts best. A customer care department cannot answer every single inquiry unless you spend huge sums of the budget on them. A chatbot is online 24/7, responding blazingly fast to any question, keeping your presence always up to date. 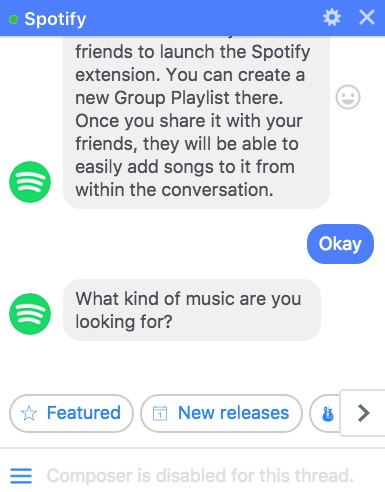 In 2017, Spotify launched Facebook Messenger bot that allows users a bot for users to discover and share music directly with friends. Spotify’s chatbot is very personalized; it gives you playlist recommendations based on your mood, what you are doing and music genres you like. 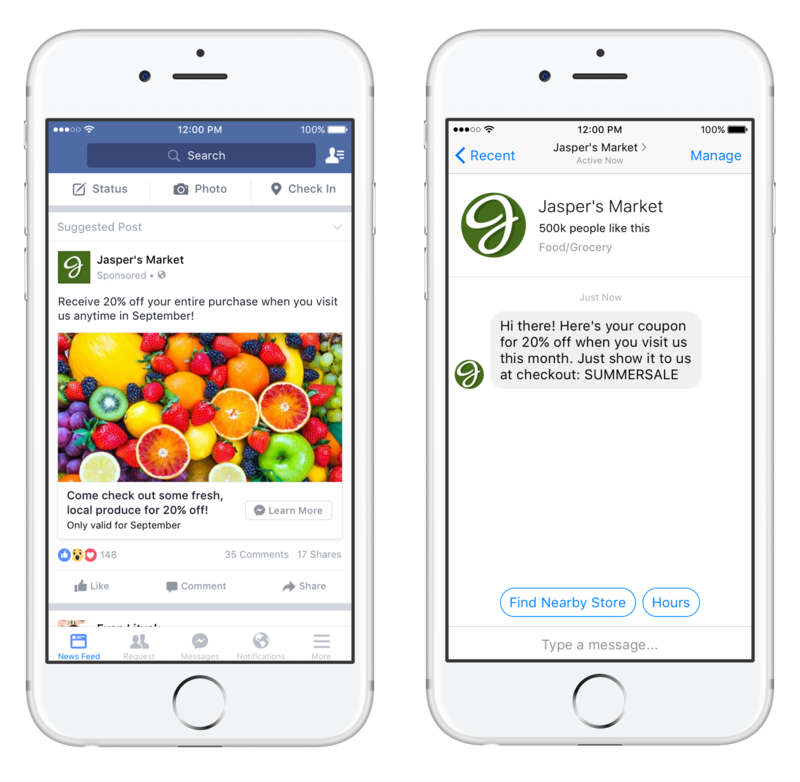 Whole Foods’ Facebook Messenger bot provides users with recipes, products and cooking inspiration. This is a great example of chata bot that creates engagement. Chatbots are wonderful for customer service. 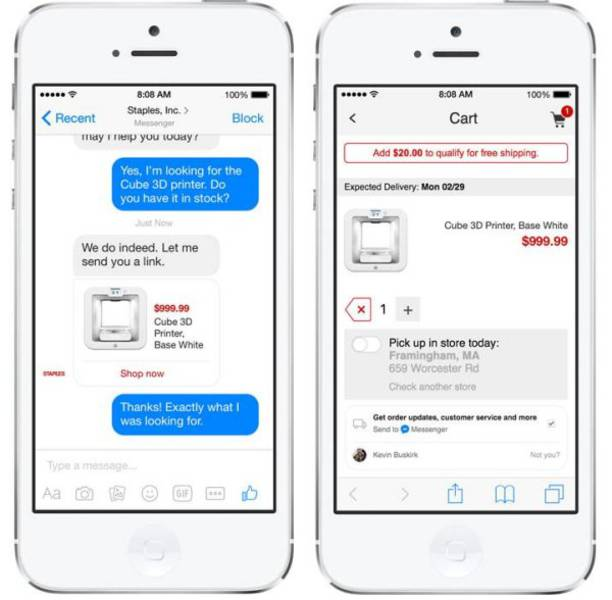 The chatbot of Staples can answer both common and uncommon questions about products and orders. You can even ask the Chatbot if a particular product is in stock. LeadPages is a well-known platform for creating landing pages and squeeze pages. On their website, they use a Drift-powered chatbot that targets users based on the page they are currently on. The month before implementing the chatbot, LeadPages had 310 live chat conversations with website visitors, however, the chatbot increased this to 1168 conversations in the next month. The Wall Street Journal has a rather unique Facebook Messenger chatbot. 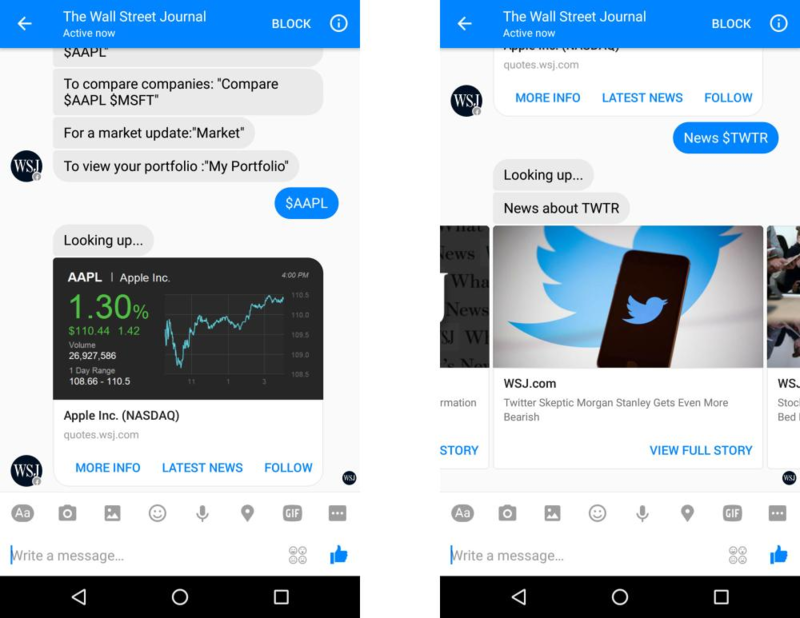 Their bot helps you stay on top of breaking news and stock quotes. Using chatbot of The Wall Street Journal, it’s easy to find company information, including financial statistics and live stock quotes, by simply typing in basic commands. There are many services to create chatbots quite easily, such as Chatfuel and ManyChat. If you don’t want to create a chatbot yourself, no problem, there are lots of done-for-you chatbot creation services out there. These chatbot creation services will design and develop a custom chatbot for you which you can connect using Facebook’s ad manager or use on your website and landing pages to drive up the engagement of your new visitors. With chatbots you can learn more about your customers, adapt to to their needs and create 100% fitting marketing campaigns. It’s a great way to drive leads and sales using your brand’s social media presence. Michael Koral is the co-founder and COO at Needls.com , a social media advertising platform that allows businesses to automatically create, target and optimize digital ads on both Facebook and Instagram.